Ernest Emerson a pioneer and leader in tactical knives – both custom and production. 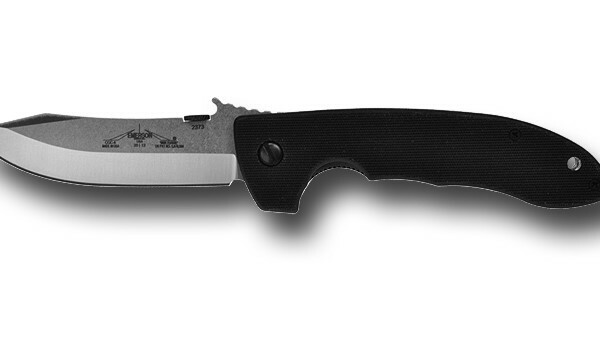 This model is called The Reliant with wave and stone wash blade finish. The 154CM stainless blade has the patented wave feature. Pocket clip is mounted for blade tip up carry. Filed thumb rest on the liners and blade spine for a secure grip. Hole in the blade for easy right and left hand opening. This Emerson Prestige Line knife features striking, coarse, black G-10 handles holding a dramatic stone-washed blade that is precisely ground on both sides, front and back, giving you a razor sharp edge. Lanyard hole in the handle. Solid liner lock design. KnifeArt.com is proud to be an authorized Emerson Prestige Line seller. We put a spearpoint blade in it, we made a mini version of it, we even put the “wave shaped feature” on it. This knife just won’t go away. It just keeps getting better. Introducing the Super 7, the bigger, badder brother of the CQC-7 knife. I put this knife off as long as I could, but the demand was too great to wait any longer. Now, you can have your cake and eat it too. 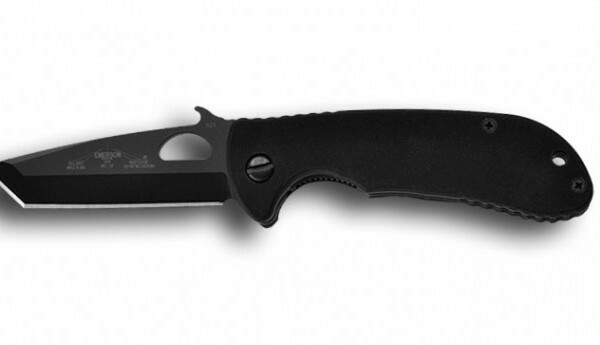 This knife answers the call for the large version of the CQC-7 knife. It’s a real hand full, and I mean that both figuratively and literally. This is not just a knife anymore. It is an awesome cutting machine. 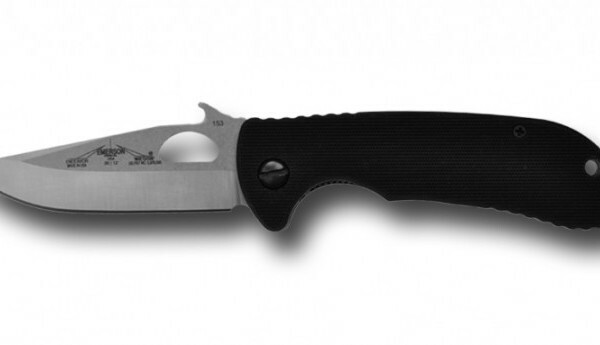 The Super CQC-7BW features our Patented “wave shaped opening feature” or Remote Pocket Opener. In an emergency or injury situation the knife can be opened with one hand as it is drawn from the pocket. Are you familiar with the term Journeyman? As one who worked in a trade where the terms were still used I am very familiar with the term. In simple terms a journeyman is one who has a tradesman certificate that required completion of a term of apprenticeship. It certified that the holder had completed all of the requirements to do the tasks of the trade, to supervise others and to be self-employed, a title held in high esteem. Hence the name of the new Emerson model, “The Journeyman” just as in the trades a journeyman could undertake and complete any task required in his field and he served as a master or instructor to all those below his level of skill and expertise. The Journeyman knife fills that role perfectly. This is an “all rounder” as I would call it, being capable of working equally as well on a hunt, in combat, in your garage workshop or on the construction site. 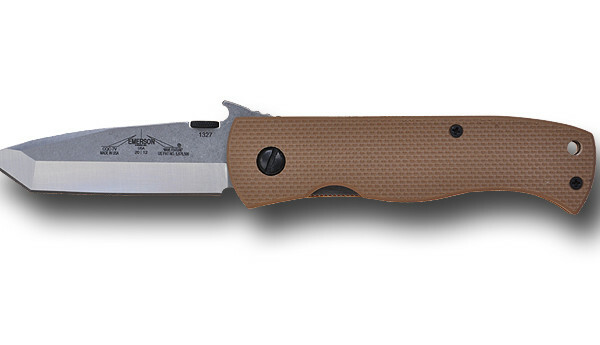 This is an Emerson ergonomic design that’s built for both comfort and cutting efficiency. It’s just the right size in both blade and handle to perform above others, in any environment you choose. This is not a small pocket knife. This is a work knife and it will work hard no matter where or what your job may be. 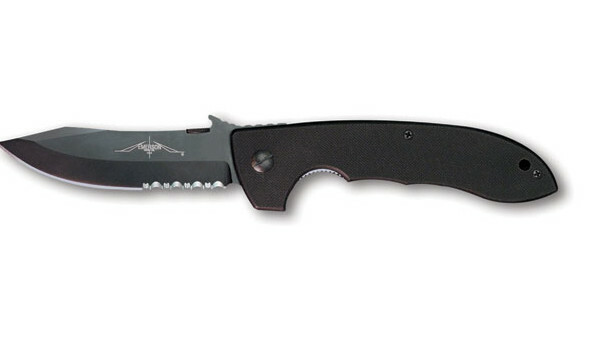 The Emerson Endeavor is part of the Hard Wear Knives line and represents hard-core design. They are geared for toughness and .performance. Representing the quality standards and specs demanded by Emerson knives that you’ve come to expect. What ever your endeavor, this knife will do the job perfectly. Utility – Hunting – Police – Military. Here is the Super Sized knife that everyone wanted. And it is a Super knife not just in size, but in ferocity, intimidation and performance. I’m almost scared to carry the thing around. It’s like carrying a folding scimitar around in your pocket. It is the largest folder that we’ve ever made and yet it stills feels great in the hand, and handles like a sports car in action. I don’t know if you all know the history of the CQC-8 but it has been a favorite among certain “circles” in Britain’s Famed SAS regiment for years and has been in action since the Bosnian Conflict. It is a true battle hardened veteran that has seen action in every theatre since the 1980’s. That’s going on 30 years now. This “Super” version is a cutting, slashing monster that will do whatever you ask of a knife. These knives are also already in the production line and are scheduled for finish in April. The first run is small and if you want one get your order now because just like the A-100, the dealers are lining up and placing their orders. We will save a few but we’re going to move them fast. Don’t delay. The piercing point of the CQC-7 and the graceful cutting efficiency of the Commander – this is what you get with the CQC-15. This knife with a comfortable, secure, ergonomic handle gives you the best of both worlds. 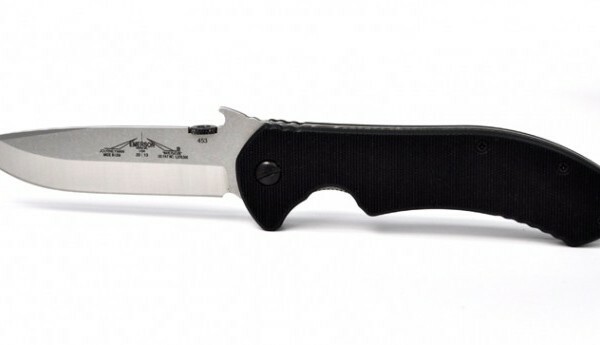 The CQC-15, called the Tant-Com is truly one helluva knife. 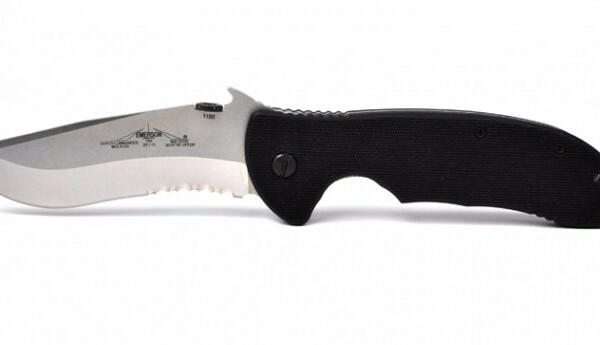 It features a tanto/recurve blade combo that suits its use in any environment, from the boardroom to the deployment staging area. This knife has already hit the streets of Baghdad and has been moving quick and quiet. 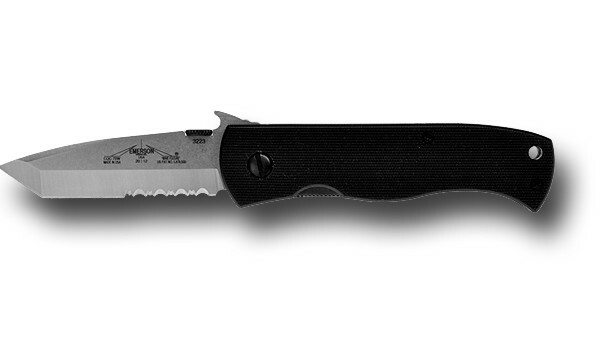 The CQC-15 Tant-Com is a sturdy, aggressive knife that will definitely get you out of a jam if you ever need it.